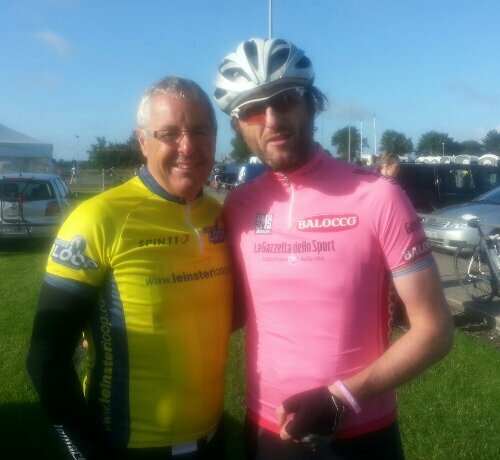 If your going on a cycle with a Giro D’Italia winner don’t wear a Maglia Rosa. You’ll feel like a tool standing next to him! This entry was tagged Celebrity photo, Cycle, Leinster loop, Maglia Rosa, Paul Smith, Stephen Rochr, tour de france. Bookmark the permalink.